Can Debt Collectors Leave Messages On My Phone? Yes, they can. But if they leave a voice message on your phone, they have to follow very specific rules set out by the Fair Debt Collection Practices Act (FDCPA). If those rules are not followed, then a violation of the act has occurred, and you will be entitled to damages. To begin with, it is always important to point out that if the phone the collection agencies are calling is your mobile/cellular device, that in and of itself is a federal violation of law. The collectors are explicitly prohibited from contacting you on your cell phone. Each time they call your cell phone, it is a violation of the Telephone Consumer Protection Act (TCPA), and the normal damages awarded for such a violation is $500 per call to your cell phone. But regardless of whether or not they call your cell phone or home phone, the collection agencies must abide by the law when they leave a voice message. Whenever a collector leaves a voice message for you (either on your cell phone or home phone), he/she must identify who they are, why they are calling, what company they are with, the fact that they are calling about a debt, and that they are a debt collector. All of that must be disclosed in the message. So an example of a message that complies with the law would go something like this: “Good morning. This Jim Taylor. I am with Debt Collectors Are Us. I am calling you in regards to a debt that you owe that my company is trying to collect on. If you could please give me a call back at 1-800-000-0000.” Now if are sitting there scratching your head and thinking, “I’ve gotten a ton of messages from collectors, but none have ever left a message with that kind of detail,” then you are one of millions of people whose rights have been violated. Most of the time, the message that you receive goes something like this: “Hey Jim! This is Frank. Can you give me a call as soon as possible? This is a really important thing that I need to talk to you about. So if you can get back to me asap, that would be great! Talk to you soon! !” This message sounds as if the person actually knows you; or at the very least, that he has something interesting that you would want to know about. And you can see the stark difference between the two types of messages, and why the collectors will typically leave the second kind as opposed to the first. Because the second kind of message more typically results in them getting a call back. These types of tactics are employed all the time, all day every day. And if a collection agency violates your rights in this fashion, it is a $1,000 award of damages to you that they have to cough up. Of course, most people have several collection agencies hounding them, so the money can add up quickly. The real bonus behind all of this (other than a chance to stop the creditors dead in their tracks) is that there is no out-of-pocket expense to you. If the case is successfully litigated, and the collector is found to have violated your rights, the collector must pay the fees of the attorney that you hire to take care of it. In addition, if you have a lot of other unsecured debts (like credit cards, medical bills, payday loans, etc. ), then it may also be a good idea to look into a St. Louis Chapter 7 bankruptcy or a St. Louis Chapter 13 bankruptcy. 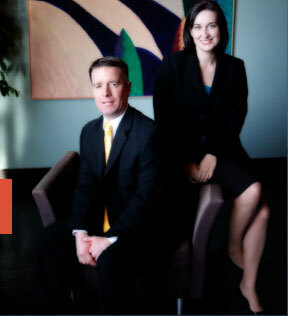 The affordable St. Louis bankruptcy lawyers at Brinkman & Alter, LLC have fighting against the wrongdoings of debt collectors for years. Our attorneys understand this area of the law extremely well, and have had tremendous success in prosecuting FDCPA claims. All phone conversations and office consultations are free of charge.